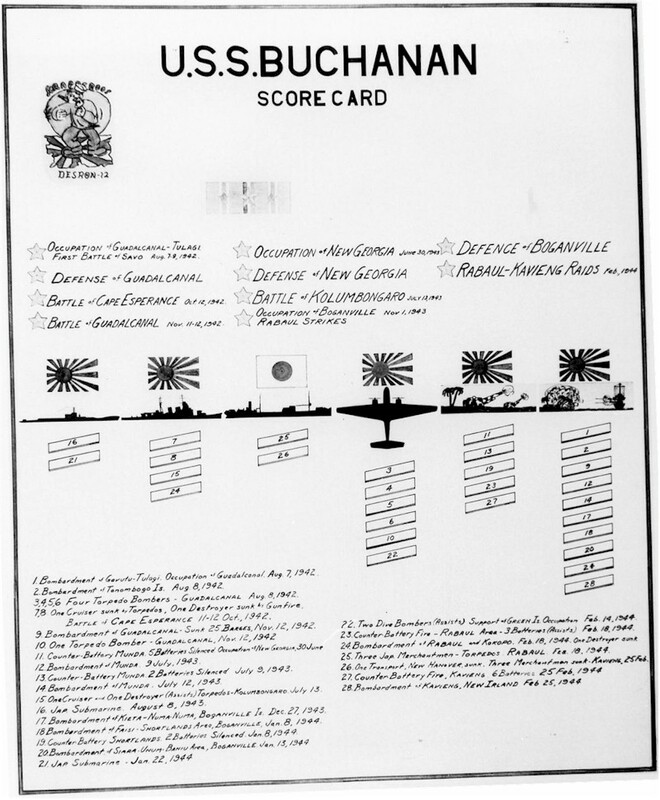 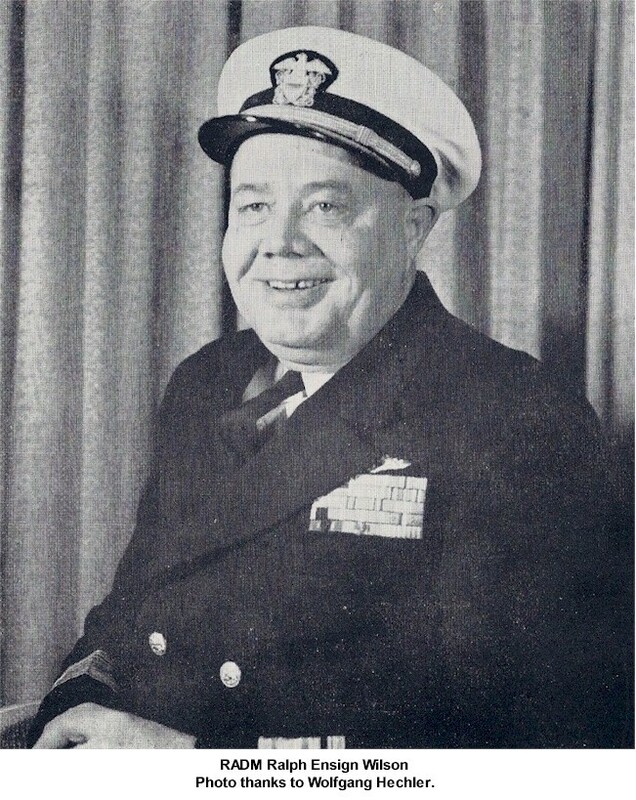 "For outstanding performance in combat against enemy Japanese forces ashore and afloat in the Pacific War Area from August 7, 1942, to February 26, 1944. 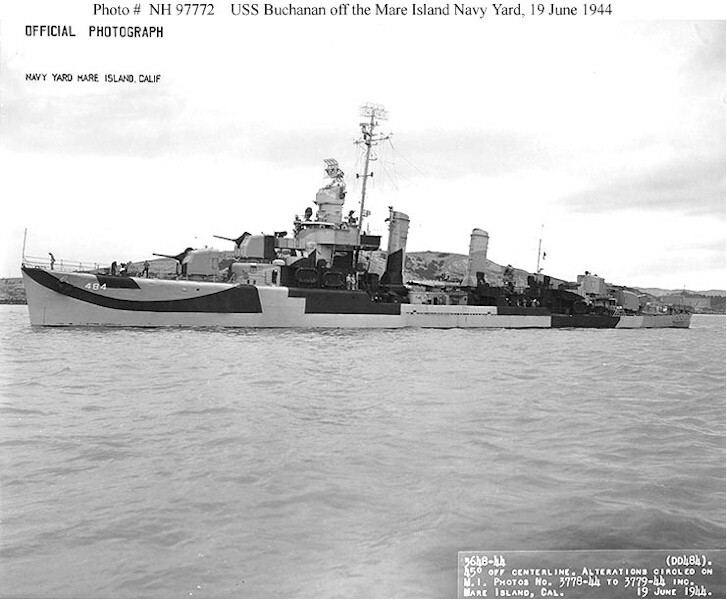 A daring and aggressive veteran after a long period of sustained service in support of landing operations and occupation of hostile positions vital to the continued security of our forces, the U.S.S. 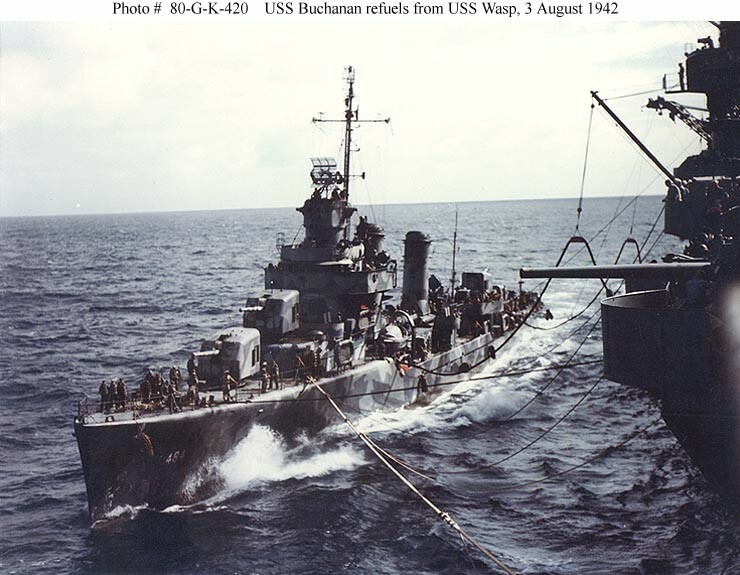 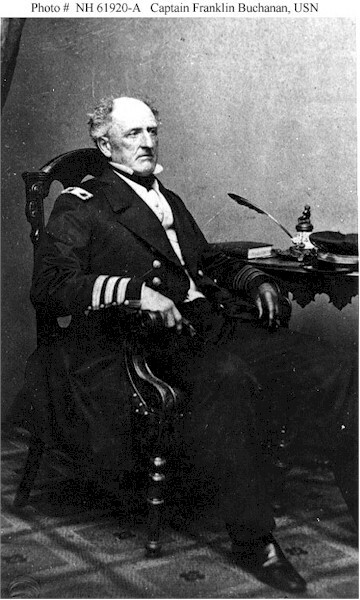 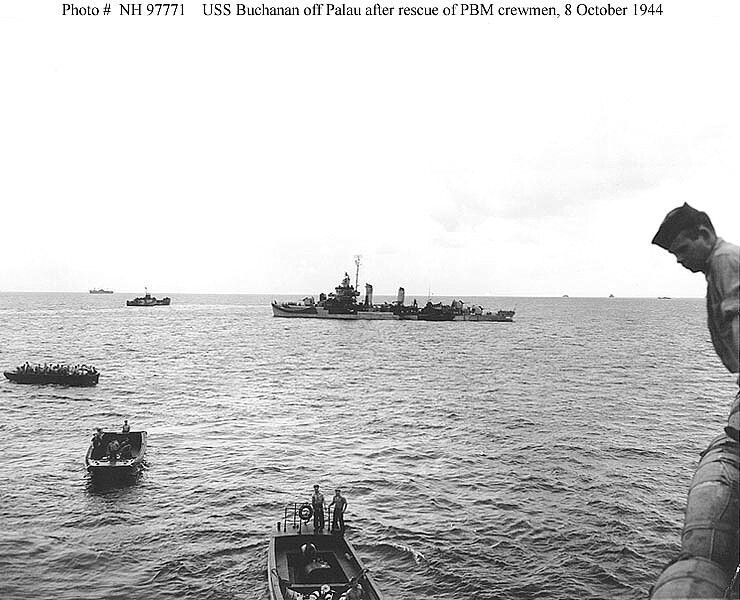 BUCHANAN has met and engaged the enemy in his own waters, striking devastating blows while opposition in the Pacific was at its height. 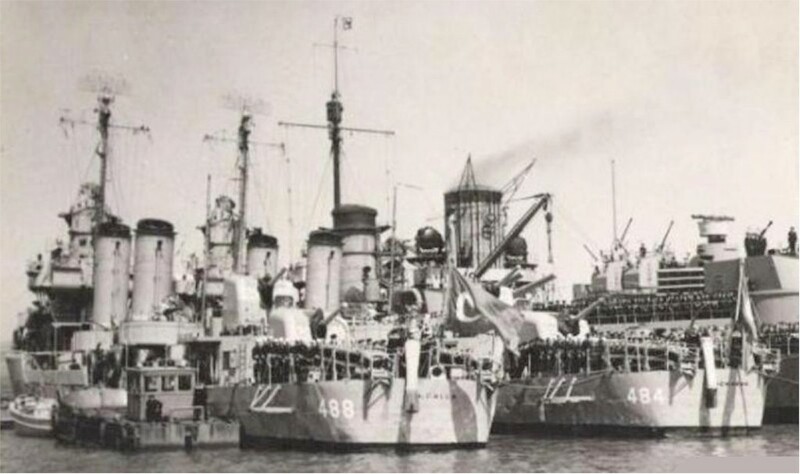 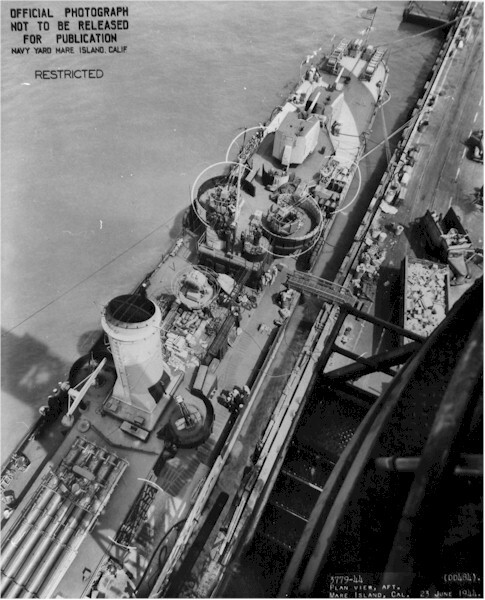 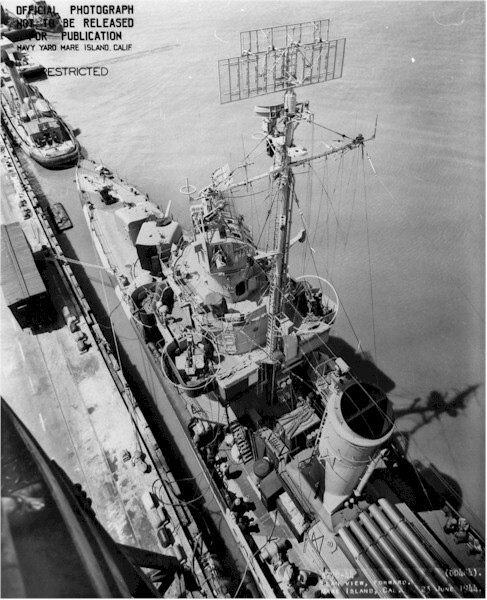 She has provided faithful and sturdy protection for our carriers and convoys; she has destroyed hostile air, surface, and sub-surface units; she has boldly faced shore batteries of the enemy and silenced his guns. 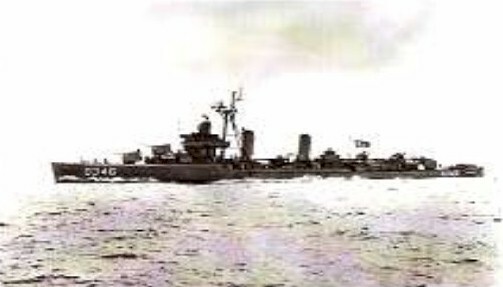 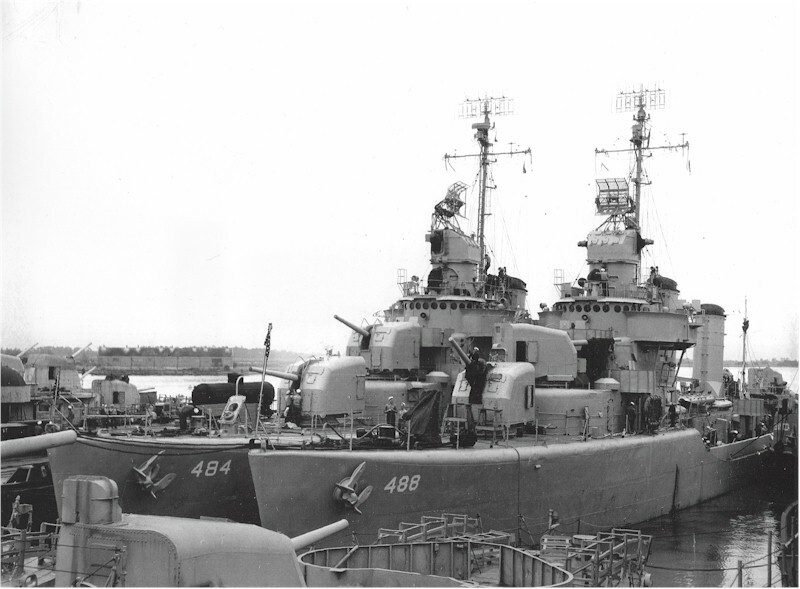 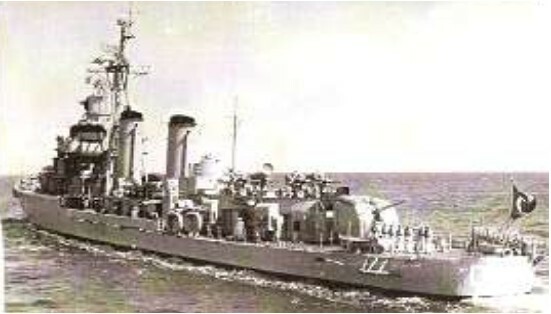 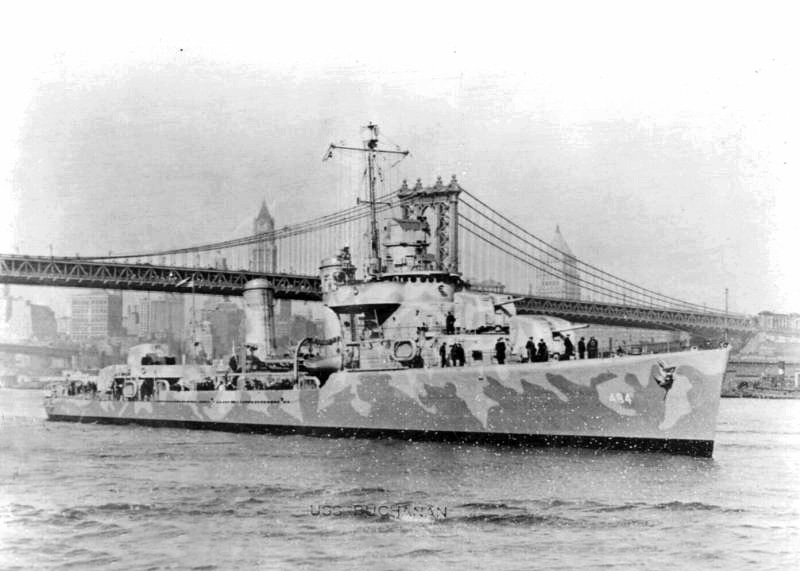 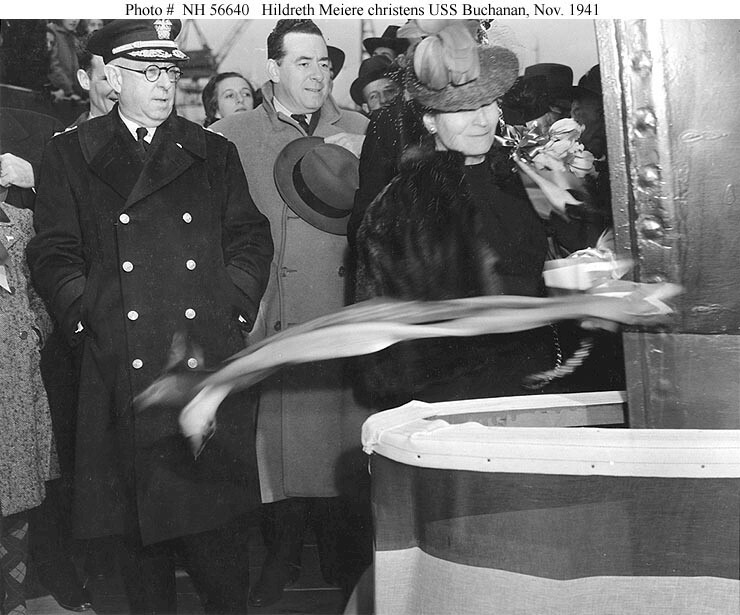 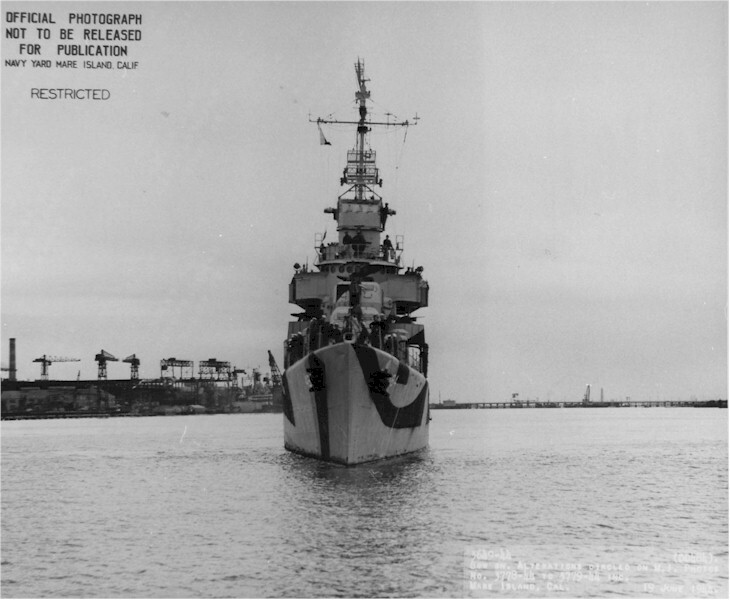 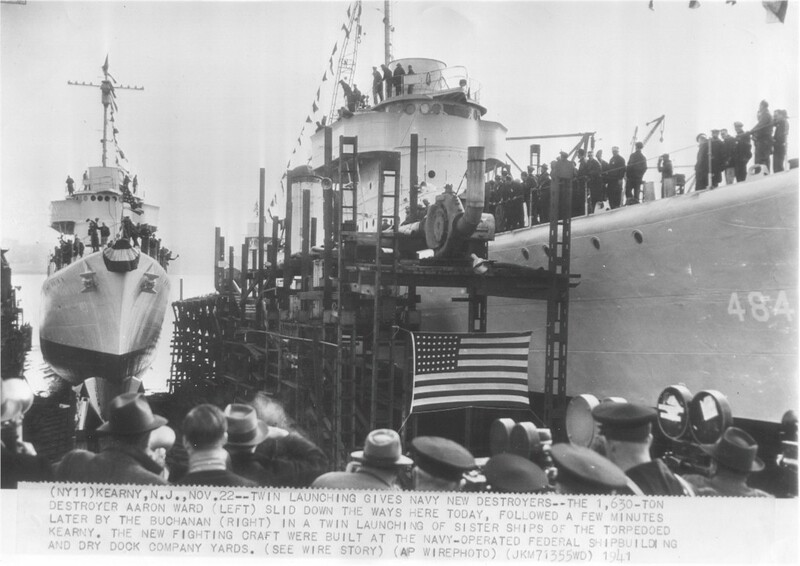 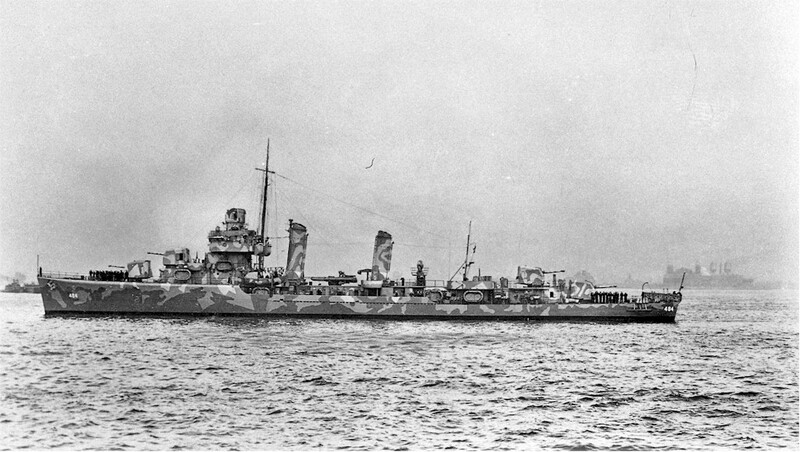 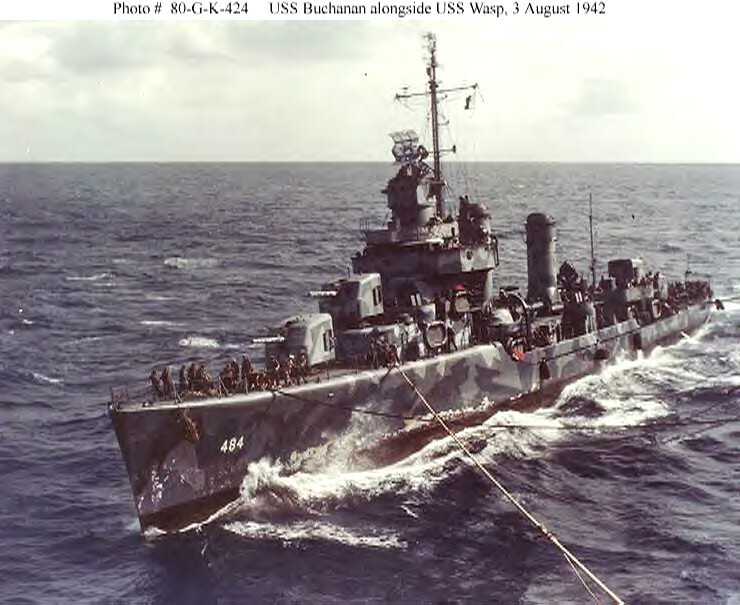 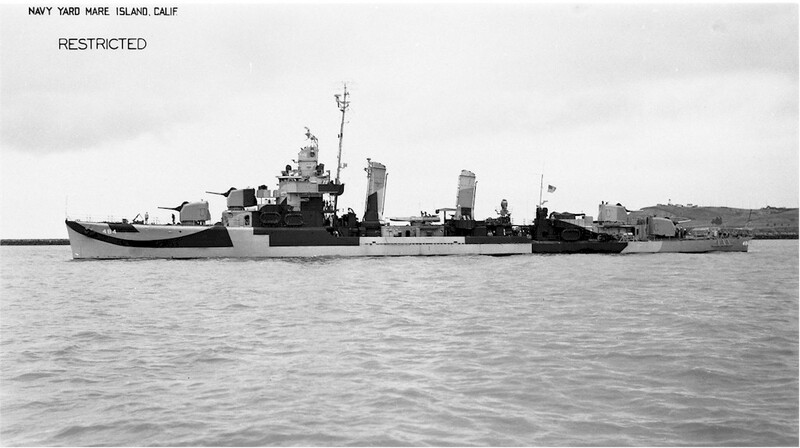 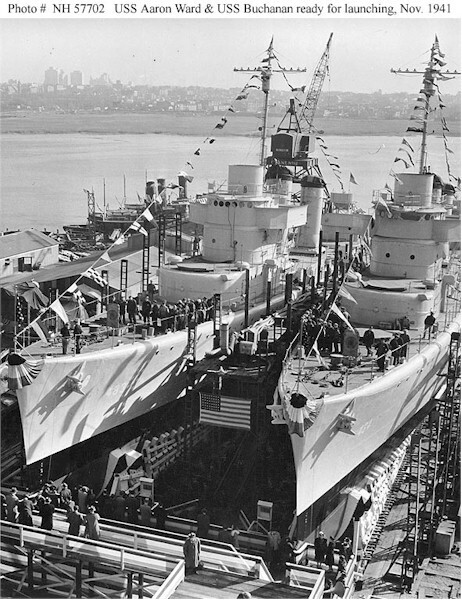 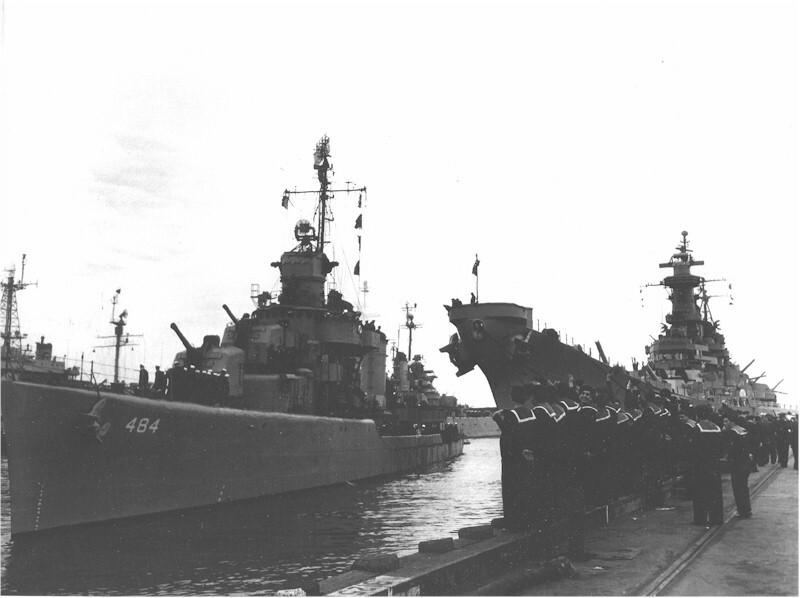 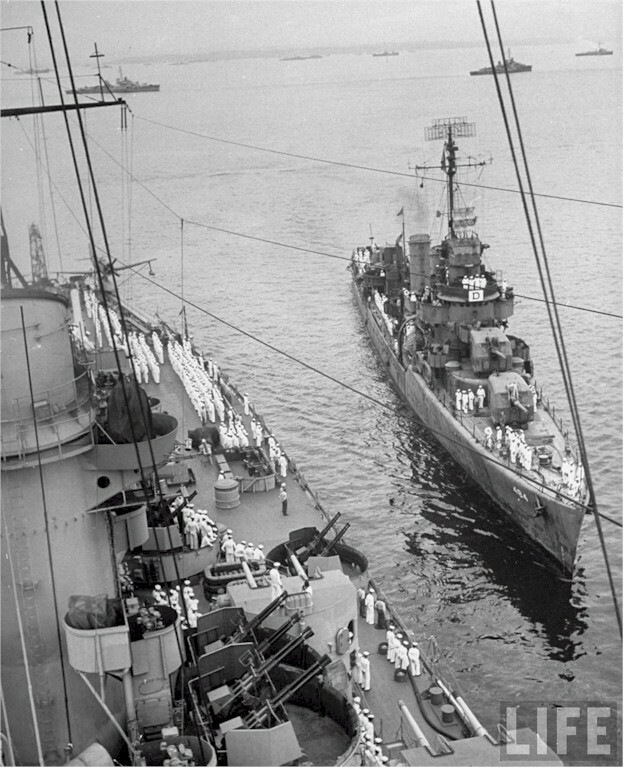 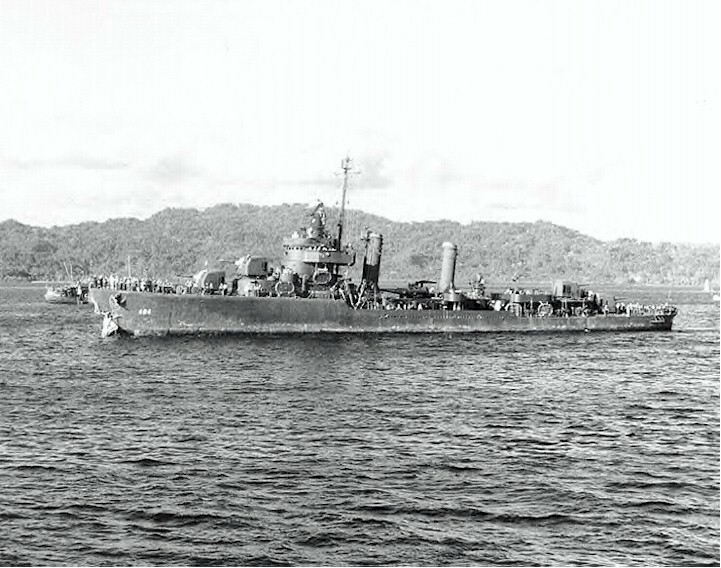 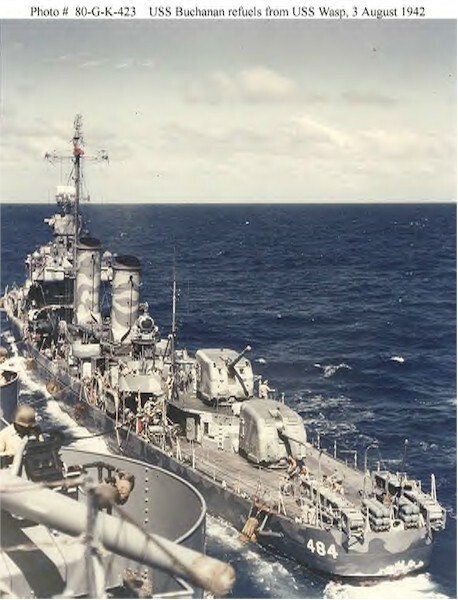 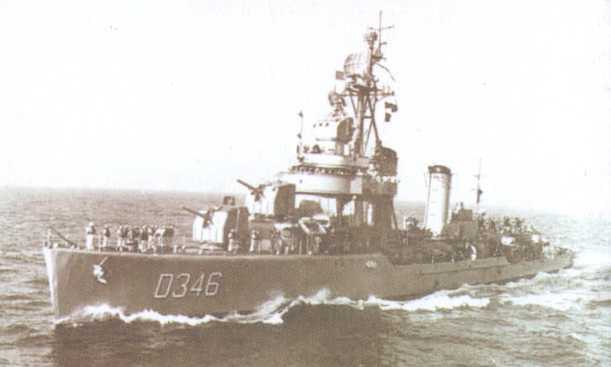 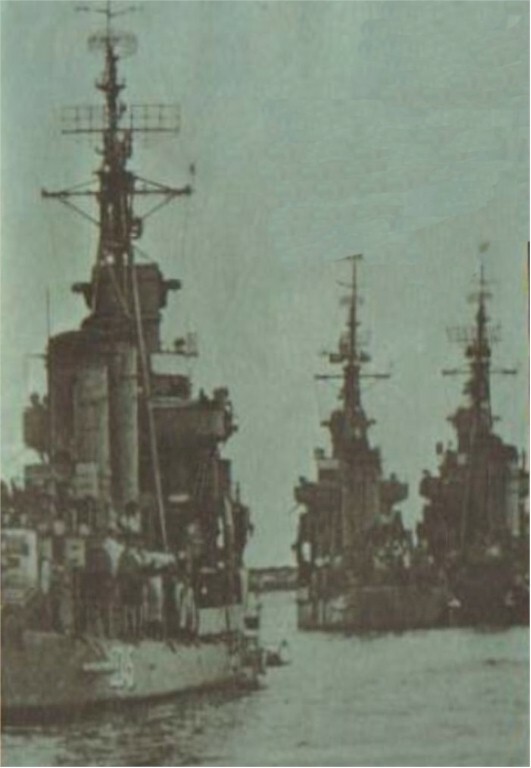 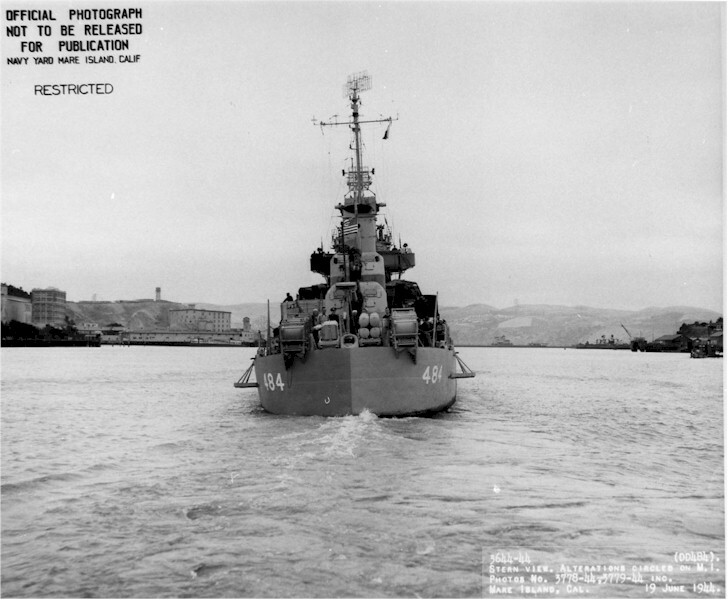 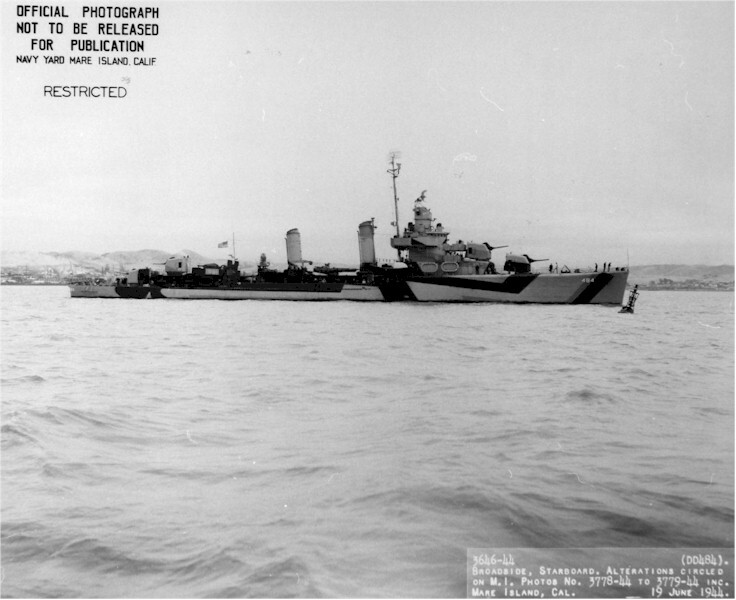 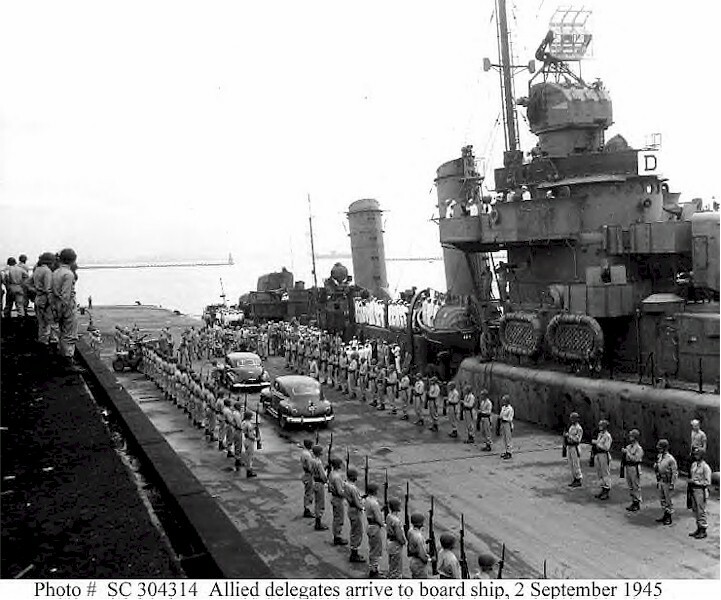 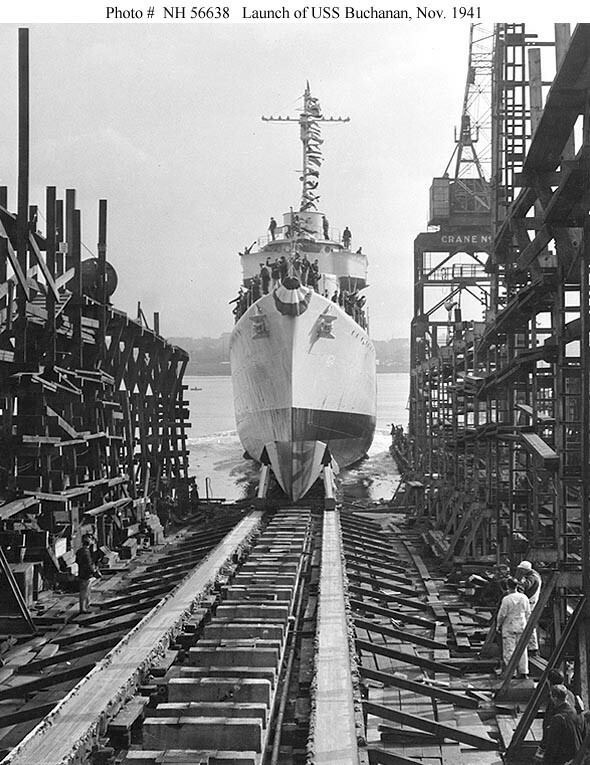 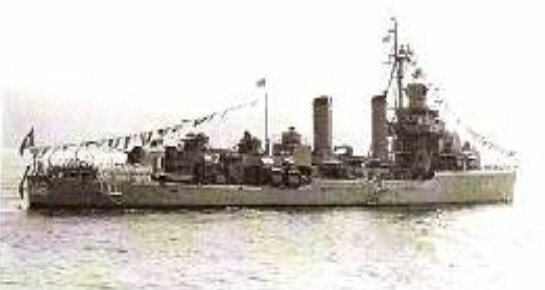 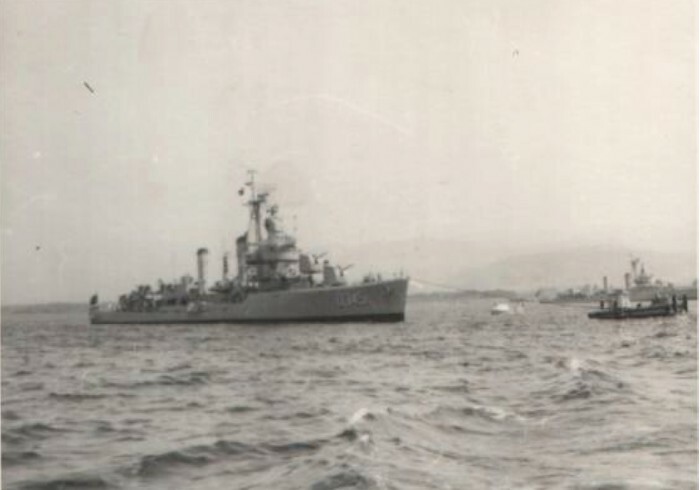 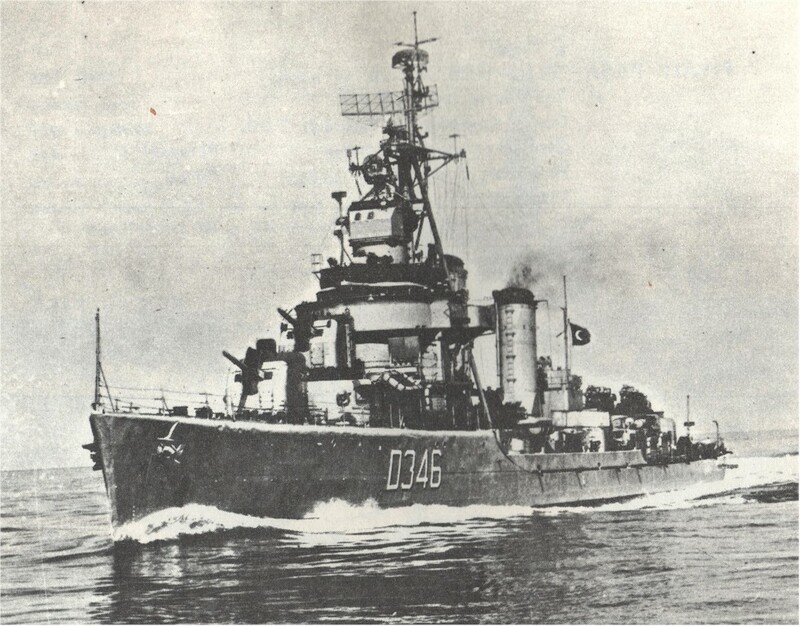 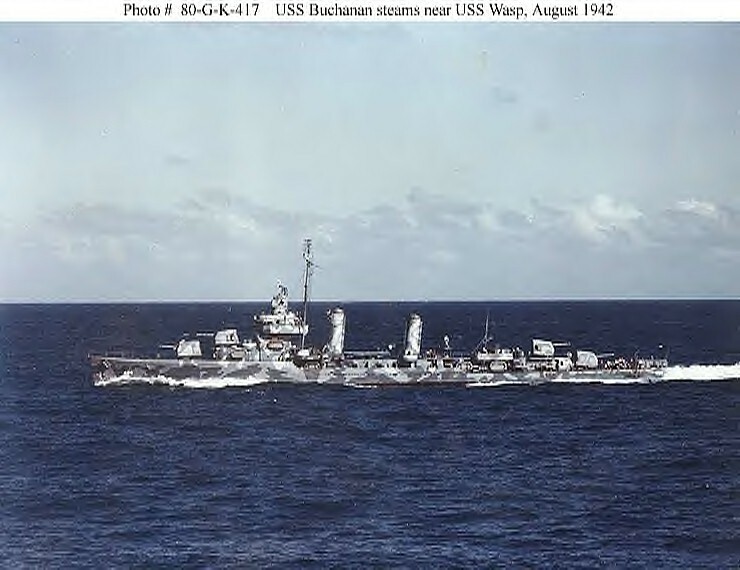 A gallant fighter, dependable in her readiness for combat and bold in fulfilling her missions, the BUCHANAN has contributed essentially to the success of the Solomon Islands Campaign and her record of valiant achievement attests the loyal devotion to duty of her officers and men."